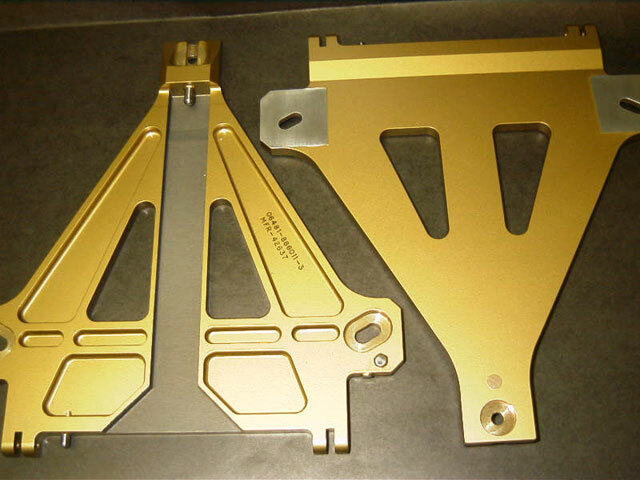 Harder and thicker than conventional anodic coatings, hard anodize coatings for aluminum are chiefly used for their wear-resistant characteristics. Normally, appearance and to a lesser extent resistance to corrosion are secondary attributes. Normally, hard anodic coatings are not sealed because sealing can reduce abrasion resistance 10 to 20 percent. Despite that fact, these coatings perform well in saline environments and will withstand prolonged salt spray exposure without failure. Hundreds of applications of hard anodize include: gears, pistons, fan blades, gun scopes, guide tracks, missile components, and fuel nozzles to name a few. The buildup on each surface of an aluminum part will be about fifty percent of the total thickness of the anodic coating produced.